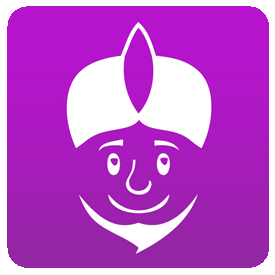 Food Genie | Making Wishes About Where To Eat Come True - Download the App Today! 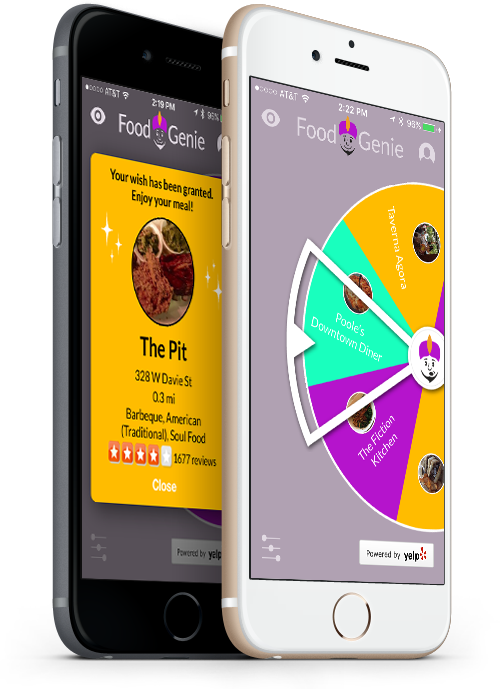 Let Food Genie take the worry and “I don’t knows” out of deciding what’s to eat, by becoming that unbiased third-party. 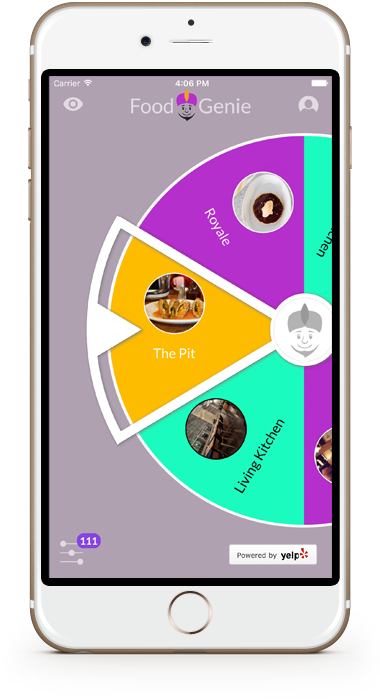 Presenting A Fun Solution To An Every Day Question... What Do I Eat? 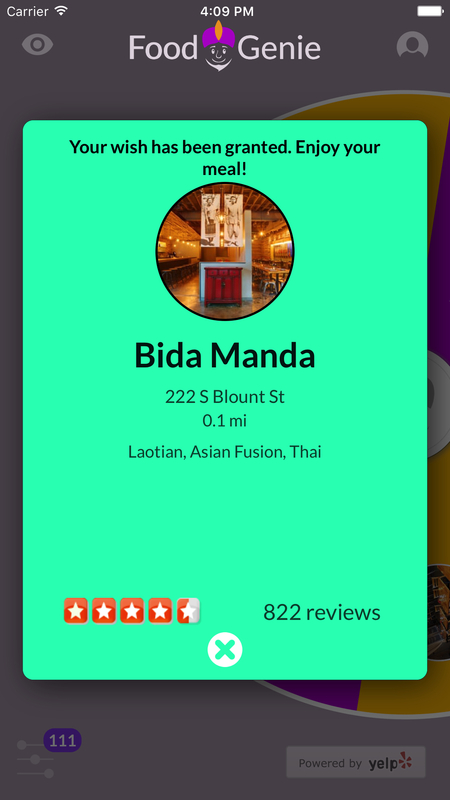 An amazing, fun and simple app to help you and your friends discover new restaurants. 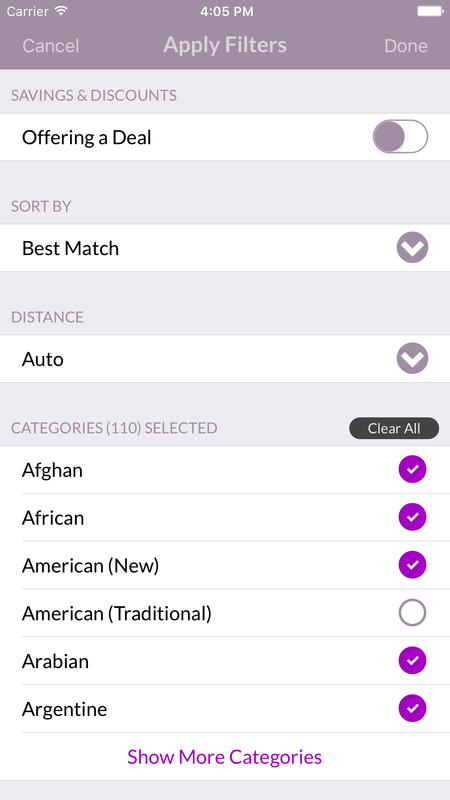 You can choose which genres you prefer Food Genie to randomly select from, as well as choose the search distance. 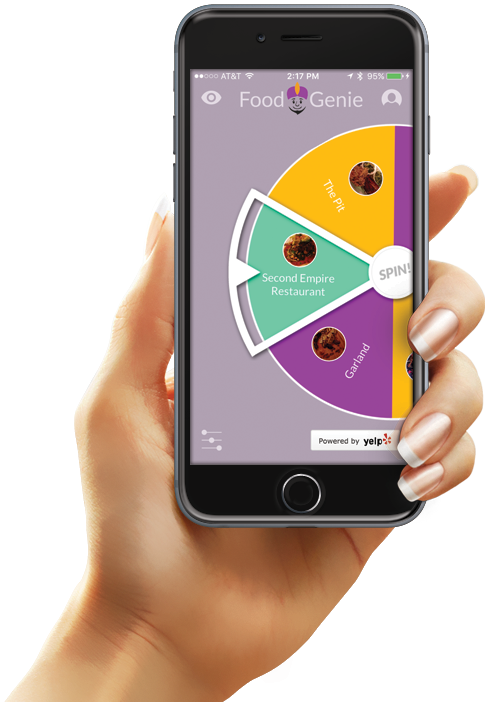 A powerful yet simple design that makes deciding what to eat not as much of a hassle anymore. Now it’s fun! 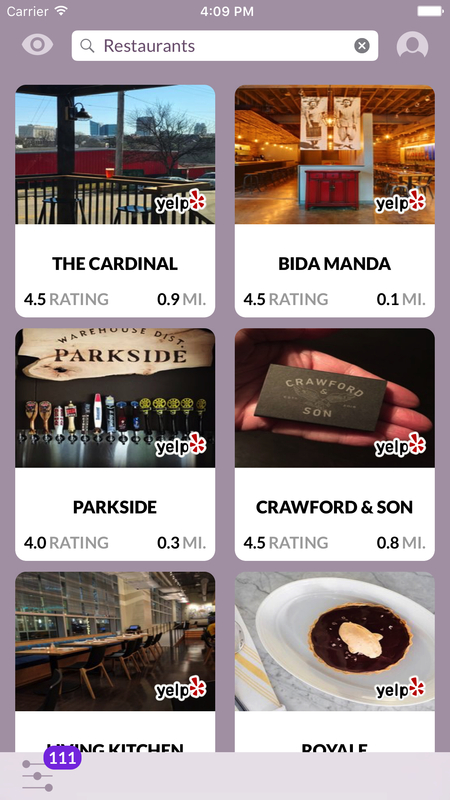 With several views and a powerful search thanks to Yelp, Food Genie has what you need and nothing more to decide what to try next. 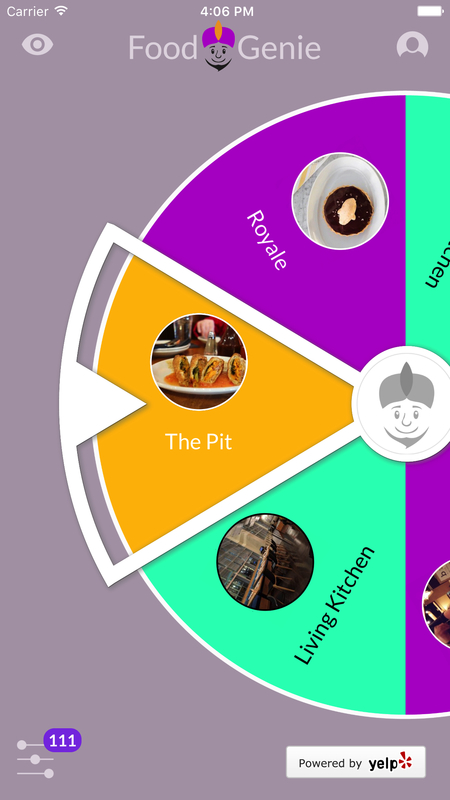 Getting out of your culinary rut and getting to a great restaurant is only a spin away. How fun is that? 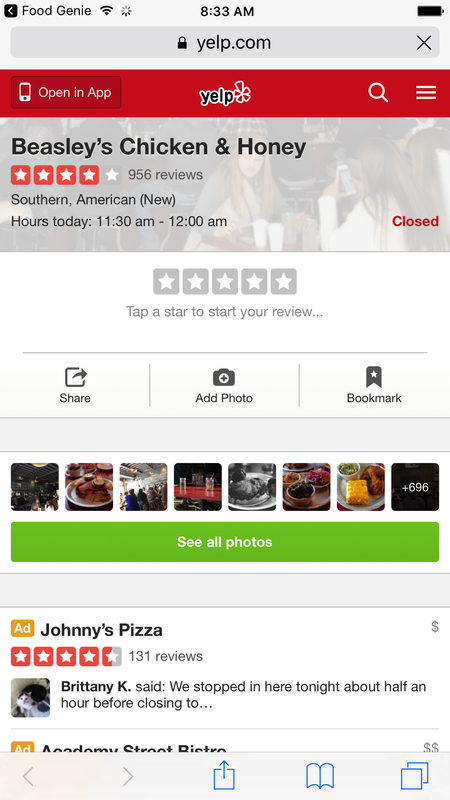 Thanks to the people at Yelp, Food Genie has the backing of a plethora of information to provide you the perfect place to eat. 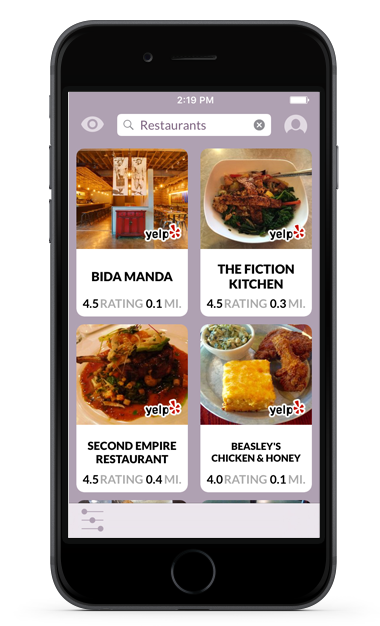 Yelp and it's API data are the sole property of Yelp Inc.
Why ask Food Genie what's to eat? 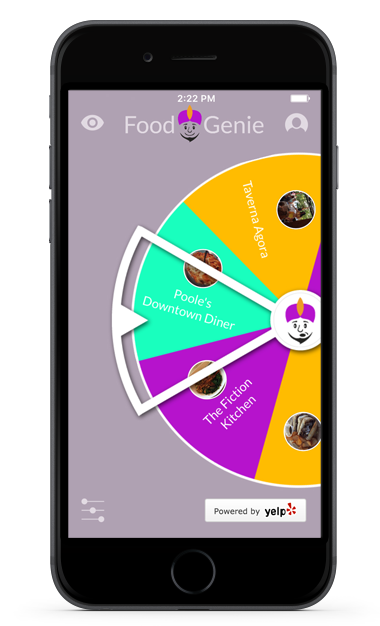 Because without Food Genie, dinner is on you to decide and that isn't always an easy choice. 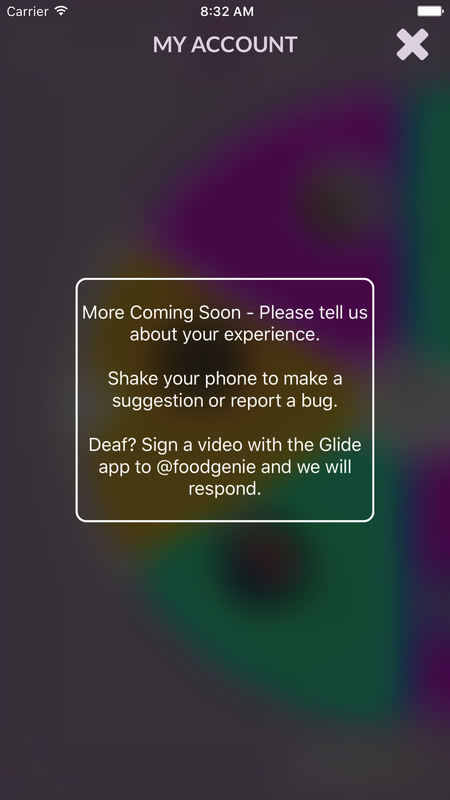 Let Food Genie help! 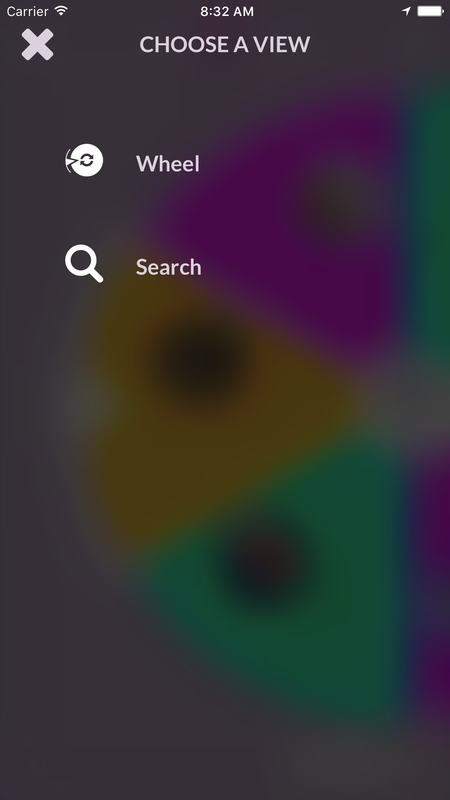 It is easy to use and a lot of fun! We are available in 32 countries and counting. 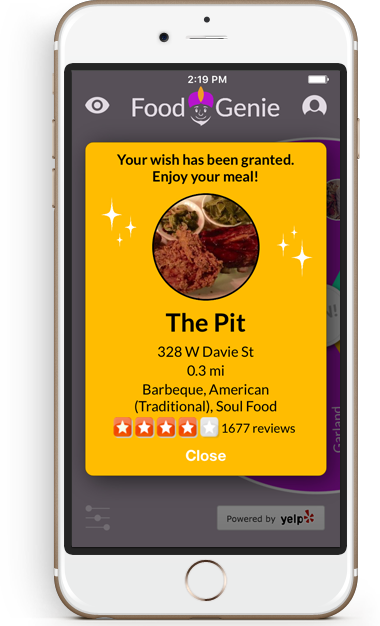 On launch day Food Genie will be able to grant wishes in 32 countries and isn't looking to stop there. 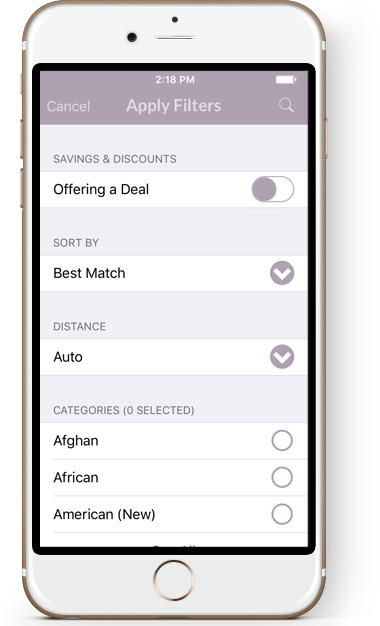 Food Genie is currently available in the countries listed below and more will be added in the near future. If you do not see your country, please contact us or tweet us and tell us. Get In Touch Make A Wish! Your message has sent. We will contact you soon.